Bal Foyen is a location of Morrowind. 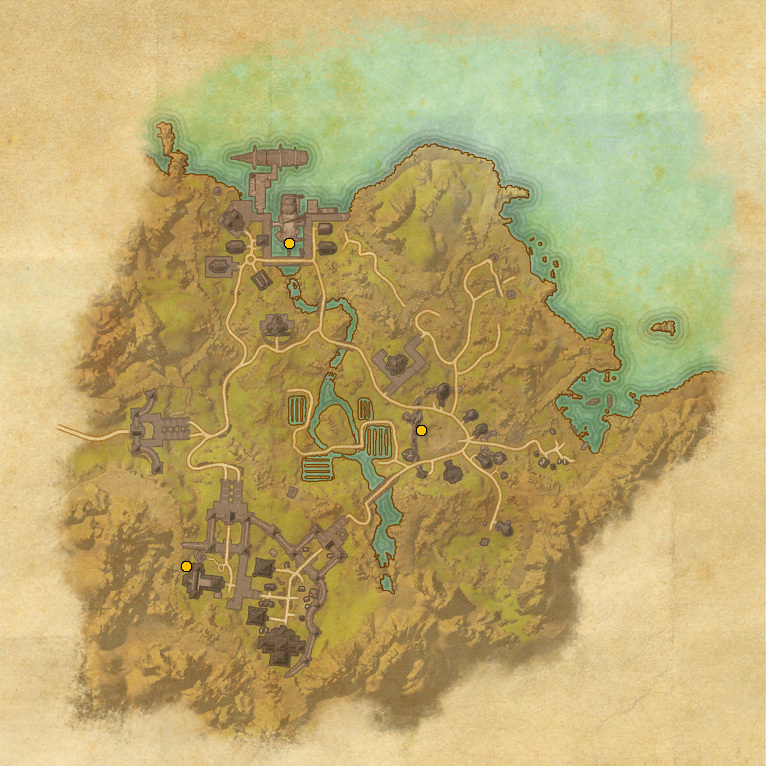 The territory belongs to Ebonheart Pact and you will visit it right after you leave starting zone – Bleakrock Isle. This zone is great for players between 3rd and 5th level. You can take several good quests here and find 3 skyshards. There are no public dungeons here. Once you finish all quests in Bal Foyen you will go to Stonefalls. The map below shows locations of all skyshards in Bal Foyen. All of them are easy to access and you will not face with problems. If you collected all shards in previous location Bleakrock Isle you already have an extra skill point. Bal Foyen can also provide you with 1 extra point for 3 shards. The first shard is located in the center of a big village. It can be found behind the highest rock. You will visit this village right after you arrive in this location. So don’t miss this shard. The second skyshard is in the Fort Zeren and is near a wayshrine. So first of all you need to find wayshrine there and then look behind a building near that wayshrine. The third skyshard is in the dockyard. It is right on a ship that stands in the docks. You don’t need to go inside a ship. The skyshard is visible from the land and is difficult to miss. This rare fish can be caught in Bal Foyen only! Don’t forget to catch all fish listed below if you want to get all achievements of a fisherman.